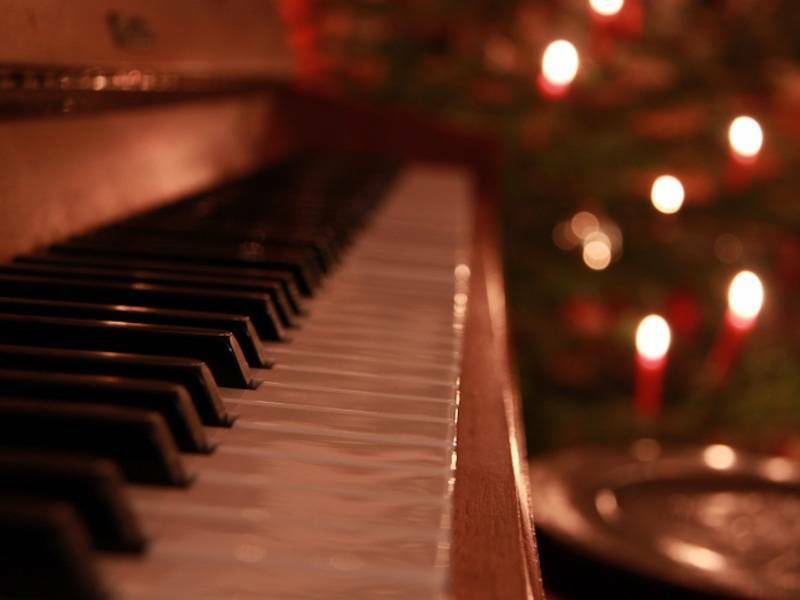 Approaching the upcoming holiday season, I find myself reflecting on all of my years as a musician. In one respect, my musical journey started when I began my first piano lessons in fourth grade. In another, it had already started long before at church, where I looked on with astonishment at our organist playing her instrument every Sunday morning. Quite possibly, it even began as I sat in the basement of my grandpa’s house, listening with him to the variety of classical music that aired over the radio. Now, I sometimes wonder if my journey in music really began much later, when I entered my first music program in college and decided to pursue this passion as a career. No matter where I define the beginning of my musical life, many different experiences have impacted me and shaped me as a musician and human. I would like to share my thoughts on some memories that have been particularly meaningful to me. Hopefully, my words may serve as inspiration or good advice for my fellow musicians. When I entered high school, I started taking lessons with my second piano teacher, with whom I became very close. Our lessons took place in her living room - a dark space with a large picture window that looked out over the beautiful scenery of Lake Pepin in Minnesota - and most often involved a lot of deep conversation. Many of her words of wisdom still resonate with me, but one remark stands out from the rest. While discussing what it takes to be a serious musician, she solemnly stated that pianists must spend most of their lives alone. At first, the harsh reality of her warning unsettled me, and it even caused me to question my future in piano. Instead of viewing the solitude of practicing piano as a difficulty that I needed to overcome, the isolation I now feel while practicing instead offers me relief from the chaos of life. I later came to understand her words in a new and positive way. Instead of viewing the solitude of practicing piano as a difficulty that I needed to overcome, the isolation I now feel while practicing instead offers me relief from the chaos of life. I use my time alone at the piano to escape from other aspects of life and focus deeply on my music, whether it be refining my playing technique, memorizing and working through the details of new music, or simply reveling in the sounds I am making. After intensely channeling my energy in the practice room, I actually feel more refreshed when I enter back into the “regular” world and the company of others. Jumping ahead a few years, I distinctly remember how my first year at Luther College changed my life. When I started college, I hoped to study for a career in math or physics, and to pursue music only as an interest on the side. Who knew that four years later I would graduate with two majors in music and English, and that I would be accepted to a master’s program in piano performance at the UMKC Conservatory in Kansas City? Needless to say, I learned to set my goals high and keep my eyes open to new possibilities. I learned to set my goals high and keep my eyes open to new possibilities. Considering the idea of accepting new opportunities, my freshman year at Luther holds a very special musical memory. For the first time, I was persuaded to sing in a choir. Norsemen, the freshman male choir at Luther, had well over a hundred members that year, making it the largest in that ensemble’s history. I can still recall the incredible feeling of walking into the choir room each day and being energized by the passion and enthusiasm of the people around me. Even more tremendous was the experience of preparing for the annual holiday concert, Christmas at Luther, where the school’s orchestra and six choirs join together for a monumental performance. I had never imagined myself making such beautiful music, let alone singing in the midst of so many amazing people. Since entering college, I have felt the focus of my musical work shift from simply improving myself to building relationships with other people. Collaborating with others has laid the building blocks of my music career. As an accompanist in college, I rehearsed and performed with vocalists and instrumentalists, making connections with numerous students and their teachers. Playing in chamber ensembles, I struggled through the challenges of communicating effectively and performing music as a group, bonding with my colleagues through our music. In my experience, I learned much more from the other people in my music community than from my own teachers. Music offers the opportunity to develop your creativity in both worlds – to escape from the stress of life and focus solely on yourself, and to learn from other people. Today, my work centers on helping others in my community make music. As a piano instructor at Music House, I have the privilege of teaching a number of students in classes and private lessons. The best part of my job is often getting to know what interests my students and what they want to do beyond Music House, so that I can be a good mentor and help them grow in a way that is meaningful for their individual lives. At the same time, I have the opportunity to accompany for the choral program at Blue Valley Northwest High School, and work with 170 students in five different choirs. At Salem Lutheran Church in Lenexa, I am also able to help the congregation worship through my position as an organist. For me, the high point of music is bringing people together and making personal connections with my music community. I want to encourage all my fellow musicians to find a balance between the solace of practicing music alone, while also bonding with the community. Music offers the opportunity to develop your creativity in both worlds – to escape from the stress of life and focus solely on yourself, and to learn from other people. Minnesota native Charles Hoeft is a pianist, teacher, and accompanist. He holds a Bachelor of Arts degree in Music and English literature from Luther College in Decorah, Iowa, and is currently pursuing a Master of Music degree in piano performance at the University of Missouri-Kansas City, studying with Robert Weirich. He enjoys teaching students of varying ages and abilities, helping them learn to communicate through the language of music and to grapple with the challenges of performance. As an active performer, Charles enjoys playing in recitals as a soloist, and also collaborating through accompanying and chamber music. A winner of the 2015 Concerto/Aria Competition at UMKC, he recently performed the first movement of George Gershwin’s Concerto in F with the Conservatory Orchestra. He was also the 2013 recipient of the Lucille Stansberry Rosholt Distinction in Accompanying Competition Scholarship at Luther College. Along with his graduate studies, Charles serves the conservatory as a graduate assistant in opera accompanying, and played for their productions of Così fan tutte and Little Women. He is frequently in demand as a worship pianist, and likes to get involved with other community venues.